This is one of my favourite projects - how to make a spool holder. 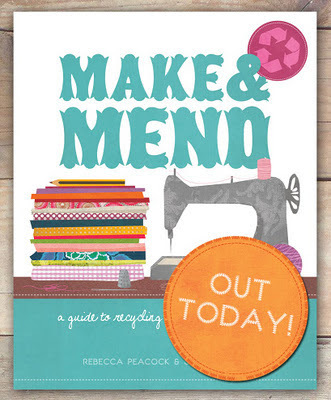 My 'Luciene' fabric features in the book showing how to make a tote bag - I'm extremely pleased to be in such a lovely book! I really like the way the book has unusual projects alongside basic and classic techniques like creating a patchwork - love the illustrated patchwork on the opposite page also.